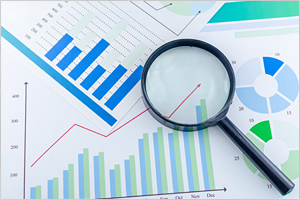 Monitoring, observability and analytics have become common phraseology in the Citrix world. Alongside every Citrix project, whether it’s a new deployment, expansion, upgrade, or cloud migration, what is essentially needed in the IT toolkit is analytics. Analytics means not just data, but insights obtained through continuous monitoring; periodic measurements of critical performance metrics that convey a lot about the health and availability of the Citrix Virtual Apps and Desktops session. eG Enterprise is an end-to-end Citrix monitoring and analytics solution that provides deep-dive visibility of performance for every user, every app, every desktop and every server. eG Enterprise collects hundreds of metrics on Citrix performance and presents them on intuitive dashboards with layered grouping (Citrix users, apps, servers, etc.) for easy problem identification. From a single pane of glass, Citrix admins can isolate problem areas and dive deeper to gain actionable analytics for diagnostics, troubleshooting, historical trend analysis, capacity optimization, and more. Watch this 2-minute video and learn how eG Enterprise can be used to get in-depth visibility of Citrix session performance. 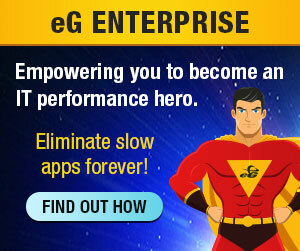 Out-of-the-box Citrix analytics in eG Enterprise include metrics like logon time breakdown, app/desktop launch, screen refresh latency, network latency, HDX bandwidth, line speed, EDT performance, session active/idle time, disconnects, browser URLs accessed by users, session resource usage, and more.